The Short and the Sweet of It: Welcome to the New Short and Sweet! Welcome to the New Short and Sweet! Oh hello! It's here! We needed a breath of fresh air. 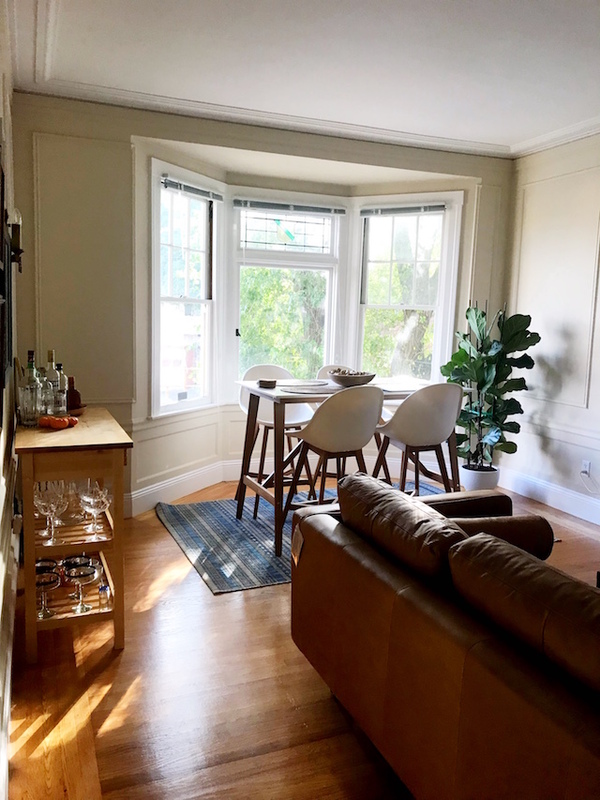 We both have several big changes happening in our lives over the course of the next few months, and the blog seemed to stare at us begging for change too. Let's be real. Life is chaotic when you work 10+ hour days and have to commute from San Diego to L.A. several times a week and plan your wedding. Life is chaotic when you have a toddler, another one due in a month and are trying to balance work and home life all at the same time. We needed a dose of simplicity, of classic cool; something that when we open our laptops in the morning evokes a sense of serene beauty. We found it. A very special thanks to Danielle Moss of Breakfast at Toast and The Everygirl for our new logo and social media buttons and Ana Degenaar of Blog Milk who helped with our template, layout and coding. We couldn't have done it without them, and wholeheartedly appreciate their patience as we worked through designs and revisions until we found the perfect match. We hope you'll stick around and explore our new space and if you're new here, welcome! P.S. Did you know The Short and The Sweet of It has its own Instagram account now? 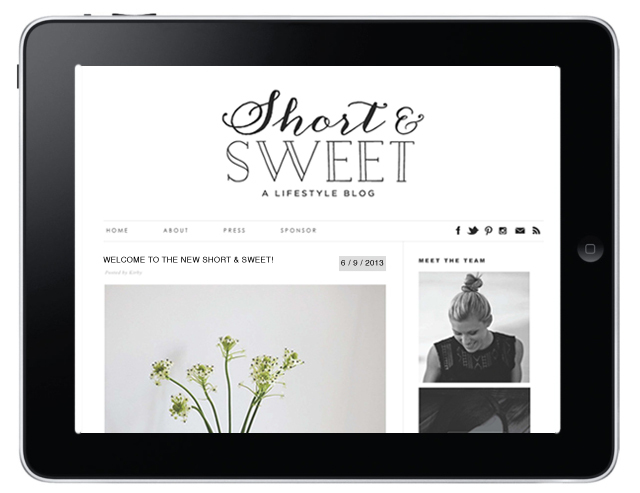 Follow us: @shortsweetblog or click the link above! Oh my gosh! Girls, I LOVE it. Congrats! oh i love it! so clean and simple. i LOVE a good crisp black and white design! The blog looks fabulous- congrats! Just beautiful ladies! Danielle designed my blog too - her work just can't be beat! jeeze louise your lives really sound CRAZY hectic. and i love the new layout- the simplicity of it is gorgeous. it's just so fresh and white. lovely job! Love it! So great to an already amazing blog, one of my faves! I die. This is perfect. I love it. GAAAAH!!!! SO GORGEOUS! It looks great gals - bravo. Clean and sophisticated! LOVE IT!!! Love, love, love it. LOVE. LOVE. LOVE. In fact - this may be my fav design I've seen in a long time. Kudos to you. And I hear you on chaos and simplicity. UM I freaking LOVE it!! So fresh and clean and I think it looks perfect! Yeay :) And I am loving the new IG as well. LOVE the redesign. It is perfection. The new blog design looks awesome!!! Yay for upcoming changes...so happy for you both!! It looks absolutely fantastic ladies! Still scrolling through checking all the new features! Love the new look! Blog Milk is great- I used them too and am really pleased. looks amazing! congrats on the new layout! I've been waiting all week for the new short and sweet and I gotta say girl I love the new design!!! it looks fantastic! ana helped me with my blog too and after a year i still love it. Oh boy that DOES sounds chaotic! Love the new design. I recently went through a redesign too. your new site is absolutely darling. i love it. they did such a good job!